All small businesses require some form of merchant credit card processing. Understanding how to select merchant credit card processing can impact your sales revenue and profit. Learn essential questions of merchant services, and the hidden rules of the merchant account game. 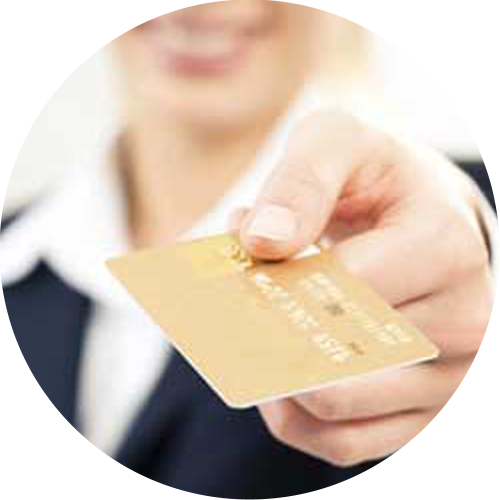 Merchant services enable you to process credit card payments from your customers. It’s a special account tied to a credit card processor that works with your customer’s bank to help route payments into your bank account. Who offers merchant credit card processing? Merchant credit card processing is provided by specialized companies called merchant service providers or independent sales organizations that offer payment processing. Which type of company is best for a small business owner? It depends on your business situation. A home-based business owner may be turned down from a bank since their business is less established. Merchant service providers and independent sales organizations can be more flexible with merchant credit card processing. While one person may feel comfortable dealing with their local bank, another might prefer a credit card processor who offers low rates. Choose what is important to your business. What is required to begin payment processing online? Secure Server with Certification: When your customer enters their credit card information, it is sent in unencrypted text form to the server hosting the website. To prevent data interception use SSL encryption ensuring no unauthorized decoding can occur. Order Form: Your customers need a place to input personal and banking information. The order form must be on a secure server. Gateway: This is the “tunnel” which allows for the authorization, processing, and management of the merchant credit card processing services. It is the mechanism transferring your customer’s vital information to the processor so you can get paid. Shopping Cart: A shopping cart is software allowing your small business to have an e-commerce store where purchases are automatically calculated for you. Ensure the gateway is compatible with the shopping cart. Merchant Account: You can have a secure server with certification, an order form, shopping cart and a gateway, but real-time processing cannot take place without establishing a merchant account. The merchant account provides access to a processor able to authorize, capture, and settle credit card transactions. What are other ways to accept credit card payments? One method is to outsource merchant service to a third party. The third party collects your customers’ data and does all the work to process payments for your small business. Another way to collect credit card payments on the web is called deferred payment processing. The customer inputs all data and you receive the data manually. With deferred processing, the data does not go through the gateway. Deferred payment processing can be time-consuming especially if you have hundreds of orders per day. You can also accept credit card payments via QuickBooks via an Intuit alternative–or, any other common accounting system. Finding the best merchant credit card processing service can be overwhelming. Review your options and make the decision based on what your customers would prefer and your small business can afford.